 i) I am directing (PI) three CIHR funded longitudinal community studies: the Montreal Diabetes Health and Well-Being Study (DHS), the Evaluation of Diabetes Treatment Study (EDIT) and the Emotional well-being, metabolic factors and health status (EMHS) study. These studies include an interdisciplinary team of Co-Investigators who have expertise in endocrinology, nutrition, psychiatry, physical activity, epidemiology and genetics. Furthermore, I am Co-PI of a prospective catchment area study (ZEPSOM). ii) Psychiatric Epidemiology: My research activities involved analyzing data from large national surveys, namely the English Longitudinal Study of Aging, the Canadian National Population Health Survey (NPHS) and its longitudinal cohort and the Canadian Community Health Surveys. Using these data, I have addressed a number of research questions including the (longitudinal) relationship between depression, obesity, psychosocial characteristics, and health status. Depression in the community is an additional focus of interest. iii) Measurement of health status: I am interested in the development and application of methods for the assessment of health status. This includes the evaluation of instruments as well as the development and application of sophisticated psychometric methods to study health outcomes (e.g., item response theory, structural regression models, latent class analysis, hierarchical linear models, and classification and regression trees). Applications include the interactions of risk factors for impaired functioning. Schmitz, N., Gariepy, G., Smith, K. J., Malla, A., Boyer, R., Strychar, I., Lesage, A. & Wang, J. L. (2014). Longitudinal Relationships Between Depression and Functioning in People with Type 2 Diabetes. Annals of Behavioral Medicine 47, 172-179. Schmitz, N., Gariepy, G., Smith, K. J., Clyde, M., Malla, A., Boyer, R., Strychar, I., Lesage, A. & Wang, J. L. (2014). Recurrent Subthreshold Depression in Type 2 Diabetes: An Important Risk Factor for Poor Health Outcomes. Diabetes Care 37, 970-978. Gariepy, G., Blair, A., Kestens, Y. & Schmitz, N. (2014). Neighbourhood characteristics and 10-year risk of depression in Canadian adults with and without a chronic illness. Health & place 30, 279-286. Au, B., Smith, K. J., Gariepy, G. & Schmitz, N. (2014). C-reactive protein, depressive symptoms, and risk of diabetes: Results from the English Longitudinal Study of Ageing (ELSA). Journal of Psychosomatic Research 77, 180-186. Schmitz, N., Gariepy, G., Smith, K. J., Malla, A., Wang, J. L., Boyer, R., Strychar, I., & Lesage, A. (2013). The pattern of depressive symptoms in people with type 2 diabetes: A prospective community study. Journal of Psychosomatic Research, 74(2), 128-134. Schmitz, N., Gariepy, G., Smith, K. J., Malla, A., Boyer, R., Strychar, I., Lesage, A., & Wang, J. L. (2013). Trajectories of Self-Rated Health in People with Diabetes: Associations with Functioning in a Prospective Community Sample. Plos One, 8(12). Badawi, G., Page, V., Smith, K. J., Gariepy, G., Malla, A., Wang, J., Boyer, R., Strychar, I., Lesage, A., & Schmitz, N. (2013). Self-rated health: A predictor for the three year incidence of major depression in individuals with Type II diabetes. Journal of Affective Disorders, 145(1), 100-105. Wang, J. L., Patten, S. B., Currie, S., Sareen, J., & Schmitz, N. (2012). A Population-based Longitudinal Study on Work Environmental Factors and the Risk of Major Depressive Disorder. American Journal of Epidemiology, 176(1), 52-59. Gariepy, G., Malla, A., Wang, J., Messier, L., Strychar, I., Lesage, A., & Schmitz, N. (2012). Types of smokers in a community sample of individuals with Type 2 diabetes: a latent class analysis. Diabetic Medicine, 29(5), 586-592. Gariepy, G., Wang, J. L., Lesage, A. D., & Schmitz, N. (2010). The longitudinal association from obesity to depression: results from the 12-year National Population Health Survey. Obesity, 18(5), 1033-1038. Gariepy, G., Nitka, D., & Schmitz, N. (2010). The association between obesity and anxiety disorders in the population: a systematic review and meta-analysis. International Journal of Obesity, 34(3), 407-419. Wang, J. L., Schmitz, N., Dewa, C., & Stansfeld, S. (2009). Changes in Perceived Job Strain and the Risk of Major Depression: Results From a Population-based Longitudinal Study. American Journal of Epidemiology, 169(9), 1085-1091. Schmitz, N., Boyer, R., Nitka, D., Messier, L., Gariepy, G., Strychar, I., Malla, A., Lesage, A., & Wang, J. L. (2009). Association Between Neighborhood-Level Deprivation and Disability in a Community Sample of People With Diabetes. Diabetes Care, 32(11), 1998-2004. Schmitz, N., & Kruse, J. (2007). The SF-36 summary scores and their relation to mental disorders: Physical functioning may affect performance of the summary scores. Journal of Clinical Epidemiology, 60(2), 163-170. Schmitz, N., Ashok, M. A., Ross, N. B. D., Archie, S., & Zipursky, R. (2007). Inconsistency in the relationship between duration of untreated psychosis (DUP) and negative symptoms: Sorting out the problem of heterogeneity. Schizophrenia Research, 93(1-3), 152-159. Levy M, Deschênes SS, Burns RJ, Elgendy R, Schmitz N. Trajectories of social support in adults with type 2 diabetes: Associations with depressive symptoms and functional disability. Int J Geriatr Psychiatry. 2018. Gariépy G, McIlwaine SV, Schmitz N, Shah JL. An approach to sample size calculation for research on duration of untreated psychosis. Schizophr Res. 2018. Sansfaçon J, Fletcher É, Zuroff DC, Schmitz N, Miller A, Israel M., et al. Psychometric properties of the "Autonomous and Controlled Motivation for Treatment Questionnaire" in women with eating disorders. Eur Eat Disord Rev. 2018. Burns RJ, Deschênes SS, Schmitz N. Associations between Depressive Symptoms and Indices of Obesity in Adults with Prediabetes and Normal Blood Glucose Levels: Results From the Emotional Health and Wellbeing Study. Can J Diabetes. 2018. Deschênes SS, Burns RJ, Schmitz N. Comorbid depressive and anxiety symptoms and the risk of type 2 diabetes: Findings from the Lifelines Cohort Study. J Affect Disord. 2018;238:24-31. Elgendy R, Deschênes SS, Burns RJ, Schmitz N. Do mental disorders moderate the association between diabetes status and alcohol consumption? Psychol Health Med. 2018;23(3):277-284. Elgendy R, Deschênes SS, Burns RJ, Levy M, Schmitz N. Alcohol consumption, depressive symptoms, and the incidence of diabetes-related complications. J Diabetes. 2018. Deschênes SS, Burns RJ, Schmitz N. Trajectories of anxiety symptoms and associations with incident cardiovascular disease in adults with type 2 diabetes. J Psychosom Res. 2018;104:95-100. Schmitz N, Deschênes SS, Burns RJ, Danna SM, Franco OH, M Ikram A, et al. Cardiometabolic dysregulation and cognitive decline: potential role of depressive symptoms. Br J Psychiatry. 2018;212(2):96-102. Smith KJ, Au B, Ollis L, Schmitz N. The association between C-reactive protein, Interleukin-6 and depression among older adults in the community: A systematic review and meta-analysis. Exp Gerontol. 2018;102:109-132. Deschênes SS, Graham E, Kivimäki M, Schmitz N. Adverse Childhood Experiences and the Risk of Diabetes: Examining the Roles of Depressive Symptoms and Cardiometabolic Dysregulations in the Whitehall II Cohort Study. Diabetes Care. 2018. Ter-Stepanian M, Grizenko N, Cornish K, Talwar V, Mbekou V, Schmitz N, et al. Attention and Executive Function in Children Diagnosed with Attention Deficit Hyperactivity Disorder and Comorbid Disorders. J Can Acad Child Adolesc Psychiatry. 2017;26(1):21-30. Malla A, Joober R, Iyer SN, Norman R, Schmitz N, Brown TG, et al. Comparing three-year extension of early intervention service to regular care following two years of early intervention service in first-episode psychosis: a randomized single blind clinical trial. World Psychiatry. 2017;16(3):278-286. Deschênes SS, Burns RJ, Pouwer F, Schmitz N. Diabetes Complications and Depressive Symptoms: Prospective Results From the Montreal Diabetes Health and Well-Being Study. Psychosom Med. 2017;79(5):603-612. Deschênes SS, Burns RJ, Schmitz N. Response to Kawada: Anxiety symptoms and functioning in patients with type 2 diabetes. J Diabetes. 2017;9(6):635-636. Levy M, Burns RJ, Deschênes SS, Schmitz N. Does Social Support Moderate the Association Among Major Depression, Generalized Anxiety Disorder, and Functional Disability in Adults With Diabetes? Psychosomatics. 2017;58(4):364-374. Ivanova E, Burns RJ, Deschênes SS, Knäuper B, Schmitz N. A Longitudinal Investigation of Anxiety and Depressive Symptomatology and Exercise Behaviour Among Adults With Type 2 Diabetes Mellitus. Can J Diabetes. 2017;41(1):73-81. MJ Fleury, JM Bamvita, Grenier G., Schmitz N, Piat M, Tremblay J. Adequacy of Help Received by Individuals with Severe Mental Disorders After a Major Healthcare Reform in Quebec: Predictors and Changes at 5-Year Follow-Up. Adm Policy Ment Health. 2016;43(5):799-812. Burns RJ, Deschênes SS, Knäuper B, Schmitz N. Habit strength as a moderator of the association between symptoms of poor mental health and unintentional non-adherence to oral hypoglycemic medication in adults with type 2 diabetes. J Health Psychol. 2016:1359105316674269. Deschênes SS, Burns RJ, Graham E, Schmitz N. Prediabetes, depressive and anxiety symptoms, and risk of type 2 diabetes: A community-based cohort study. J Psychosom Res. 2016;89:85-90. Graham E, Au B, Schmitz N. Depressive symptoms, prediabetes, and incident diabetes in older English adults. Int J Geriatr Psychiatry. 2016. Wang JL, Patten SB, Lam RW, Attridge M, Ho K, Schmitz N, et al. The Effects of an E-Mental Health Program and Job Coaching on the Risk of Major Depression and Productivity in Canadian Male Workers: Protocol for a Randomized Controlled Trial. JMIR Res Protoc. 2016;5(4):e218. Schmitz N, Deschênes S, Burns R, Smith KJ. Depressive symptoms and glycated hemoglobin A1c: a reciprocal relationship in a prospective cohort study. Psychol Med. 2016;46(5):945-55. Burns RJ, Deschênes SS, Schmitz N. Associations between coping strategies and mental health in individuals with type 2 diabetes: Prospective analyses. Health Psychol. 2016;35(1):78-86. Lipscombe C, Smith KJ, Gariépy G, Schmitz N. Gender differences in the association between lifestyle behaviors and diabetes distress in a community sample of adults with type 2 diabetes. J Diabetes. 2016;8(2):269-78.